Breezy conditions with passing downpours will be the norm Wednesday with highs around 85. Look for mostly cloudy skies and winds running out of the northeast around 15-25 mph with gusts to 30 mph. For Wednesday night, lows drop to the mid-70s with more passing showers riding in on the breeze. 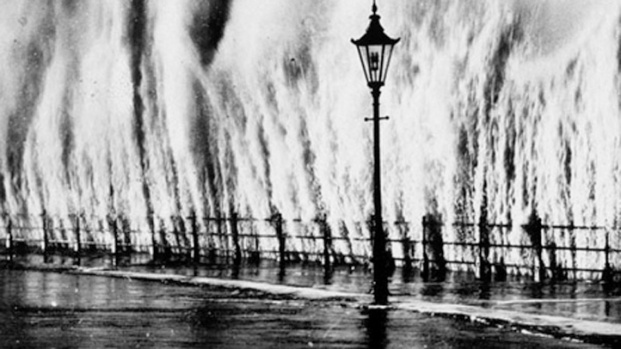 Coastal locations could see gusts up to 25 mph. Thursday and Friday will be windy with gusts to 50 mph possible as Tropical Storm Sandy passes by South Florida. A Tropical Storm Watch was in effect for coastal Broward and Miami-Dade counties Wednesday morning. 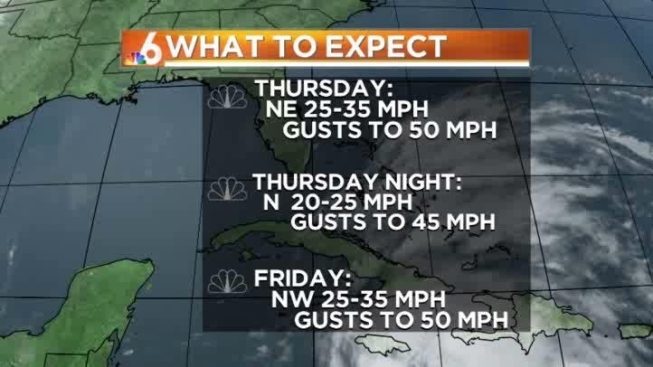 Stay tuned to NBC 6 South Florida for forecast updates.